Note: This episode contains profanity. 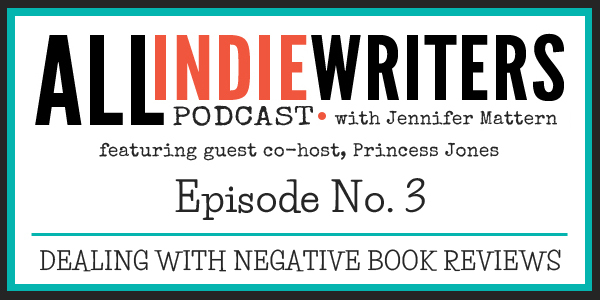 My first guest co-host, Princess Jones, joins me in this episode to discuss negative book reviews and how authors sometimes react poorly by attacking the reviewer. We share a few extreme stories as cautionary tales and offer tips on how you can keep your cool if you get negative reviews of your own books. Never, and I mean never, try to track down personal information about book reviewers in order to confront them. Don't read reviews at all if you can't handle potential criticism. If you're feeling emotional, keep your mouth shut. Better yet, always keep your mouth shut when it comes to negative reviews. The best response is no response. If you have a difficult time separating your personal identify from your books (and criticism of them), consider writing under a pen name. Never post about a negative review on social media. Even if you don't outright encourage fans to comment or attack the reviewer, you know damn well you're going to incite that kind of behavior. Don't. Have a communication / PR plan in place before releasing your book so you know what actions are and aren't appropriate when building your brand. Then stick to it. And as Princess sums it up nicely, "don't be crazy." Nothing you say online can ever truly be removed. You can't take back what you said in the heat of the moment. Most negative book reviews will fade into obscurity, unless you bring added attention to them. Dealing with book reviewers poorly can hurt your career, not only by alienating other readers, but by making you look like a difficult author to work with. If your hope is to go from indie publishing to traditional publishing, you can't afford to build that kind of reputation. Reviews are where your readers get to express themselves. You express yourself in your book, on your blog, and on your own social media accounts. Reviews are not an invitation for you to respond. And while you might have a right to respond, you will almost always be the one who comes out looking badly because you, as the author with a fanbase, are the one in a position of power. One negative book review won't end your career. But one stupid reaction from you can. The All Freelance Writing Podcast is largely a listener Q&A show. 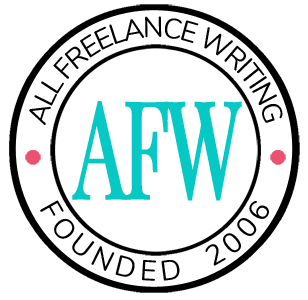 So I'd love to hear your questions about freelance writing, blogging, or indie publishing. Because there were no reader questions in this episode due to the longer chat with my guest, the episode on December 4th will be completely Q&A based. I'll answer the blogging-related questions that came in as entries for Episode 2's giveaway. If I have time, I'll answer any other blogging-related questions that come in between now and then as well.